Clinicians should be mindful of the potential elevated risk for eating problems like recurrent binge eating in patients with bipolar disorder. The authors noted the need to elucidate the qualitative eating patterns and related cognitive characteristics of patients with co-occurring BD and binge eating disorder. To that end, they examined eating habits and clinical, sociodemographic, and other variables among adults with and without BD seen as outpatients (n=145; 57% female) across 2 of 9 sites comprising a French network of bipolar disorder treatment centers. Binge eating was assessed with the French version of the Binge Eating Scale, a validated self-report questionnaire containing items pertaining to the “presence and severity of key behavioural (eating large amount of food, quickly), aﬀective and cognitive symptoms (guilt, incapacity to stop eating, feeling of loss of control)” during binge eating episodes, as explained in the paper. Night eating syndrome was assessed using the French version of the Night Eating Questionnaire, and a French version of the Three Factor Eating Questionnaire-18, which assesses cognitive restriction of food, uncontrolled eating/disinhibition, and emotional eating, was also used. The results revealed that 18.6% of the total sample (74% female) met criteria for recurrent binge eating behavior, and 9% of the sample met criteria for night eating syndrome. “Emotional dysregulation and anxiety may represent important shared vulnerability factors for worse outcome of BD and increased likelihood of binge eating behavior,” the authors concluded. Future studies should investigate whether the “relationship between BD and binge eating is bidirectional, inﬂuences the timing of help-seeking for BD, and/or whether interventions that target factors known to worsen outcomes in BD, such as impulsivity, can beneﬁt individuals with BD and binge eating” with both problems. To further explore the BD-binge eating connection, Psychiatry Advisor connected with Allegra I. Broft, MD, assistant professor of psychiatry at Columbia University Irving Medical Center in New York. Psychiatry Advisor: What are your thoughts about the findings of this paper, and what are the main takeaways for clinicians? Dr Broft: It is well known that mood and anxiety problems — for example, major depressive disorder and generalized anxiety disorder — frequently coexist with binge eating disorder. Therefore, the findings here, which describe that a significant number of patients with BD also engage in binge eating behavior, are not that surprising. Clinicians should be mindful of the potential elevated risk for eating problems like recurrent binge eating in patients with BD. Psychiatry Advisor: What are the potential mechanisms underlying the apparent BD-binge eating link? Dr Broft: Multiple mechanisms are possible. One of the theoretic explanations for why people binge eat is the idea that food and binge eating provide certain people a source of emotional “self-soothing” — that binge eating provides a manner of coping with uncomfortable emotional states when other coping strategies have not been learned or are difficult to access. BD is a psychiatric disorder of extreme emotion dysregulation, and so this idea of “food as self-soothing” may be relevant here as well. Additionally, recurrent binge eating may also be more likely in people with high levels of impulsiveness, a symptom which is often prominent during the mood episodes of bipolar illness. Dr Broft: Studies which attempt to further clarify the behavioral and neurobiologic precipitants of binge eating episodes would be of interest and might help us better understand the link between binge eating and mood disorders like BD. National Institute of Mental Health. Bipolar Disorder. https://www.nimh.nih.gov/health/statistics/bipolar-disorder.shtml. Updated November 2017. Accessed March 30, 2018. Parker GB. Comorbidities in bipolar disorder: models and management. Med J Aust. 2010;193(4 Suppl):S18. Alvarez Ruiz EM, Gutiérrez-Rojasb L. Comorbidity of bipolar disorder and eating disorders. Rev Psiquiatr Salud Ment. 2015;8(4):232-241. Krüger S, Shugar G, Cooke RG. Comorbidity of binge eating disorder and the partial binge eating syndrome with bipolar disorder.Int J Eat Disord. 1996;19(1):45-52. McElroy SL, Crow S, Biernacka JM, et al. Clinical phenotype of bipolar disorder with comorbid binge eating disorder.J Aﬀect Disord. 2013;150(3):981-986. Schoofs N, Chen F, Bräunig P, Stamm T, Krüger S. Binge eating disorder and menstrual cycle in unmedicated women with bipolar disorder. J Aﬀect Disord. 2011;129(1-3):75-78. Wildes JE, Marcus MD, Fagiolini A. Eating disorders and illness burden in patients with bipolar spectrum disorders.Compr Psychiatry. 2007;48(6):516-521. Boulanger H, Tebeka S, Girod C, et al. 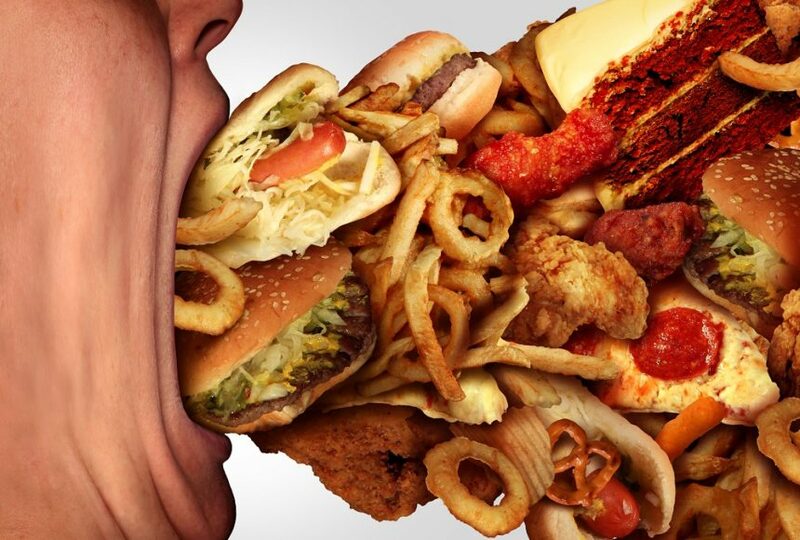 Binge eating behaviours in bipolar disorders. J Affect Disord. 2018;225:482-488.